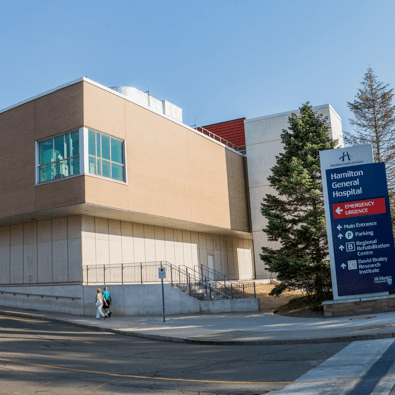 The Cardiac Arrhythmia Unit (CAU) at Hamilton General Hospital provides care for patients who have heart rhythm issues. The CAU includes the Electrophysiology (EP) Lab, which provides same-day care and services. By looking at the electrical system of the heart, an EP study will show if you have a heart rhythm problem and determine the cause. This procedure is done when you have symptoms such as fainting, dizziness, heart palpitations or an abnormal heart beat. Used to treat abnormal heart rhythms, a special catheter is placed through a sheath in your groin to your heart. This catheter destroys the tissue causing the problem. Pacemakers are implanted devices that will initiate a heart beat in those with slow heart rates. ICDs are implanted devices that will shock the heart for life threatening rhythm problems. This lab performs tests where the patient is tilted with their head up for the diagnosis of patients with fainting or syncope. Performed in the EP lab to assist in the diagnosis of conditions such as Long QT syndrome (LQTS) or Brugada syndrome.